Celebrate the return of light on the longest, darkest night! 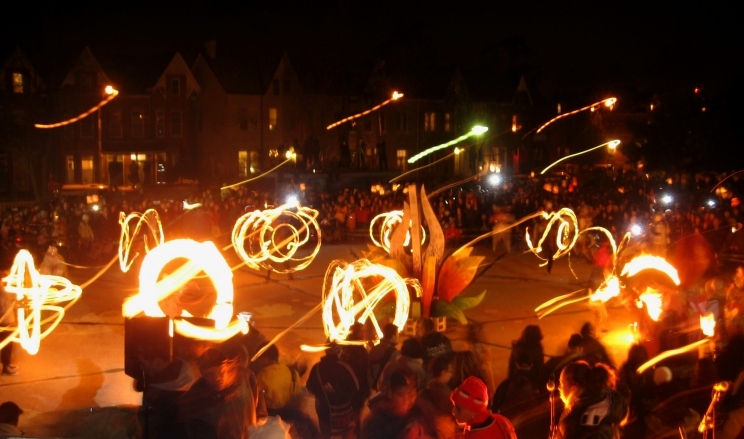 The Kensington Market Winter Solstice is a participatory lantern parade.Make a lantern, bang a drum, wear a costume, carry a puppet…this is a people’s celebration! Children welcome, and everyone else. PROCESS THROUGH THE MARKET TOWARD ALEXANDRA PARK FOR AN 8:00-ish FINALE. suggested donation of $10 per lantern includes materials, instruction, candle and carrying stick. Hand-made and commercial free since 1987.